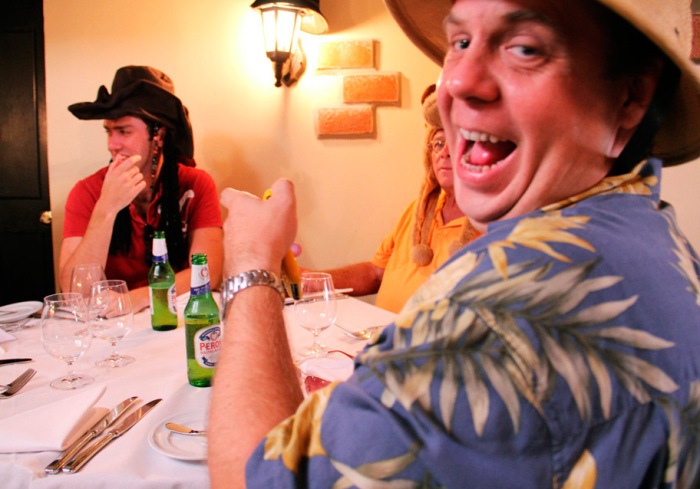 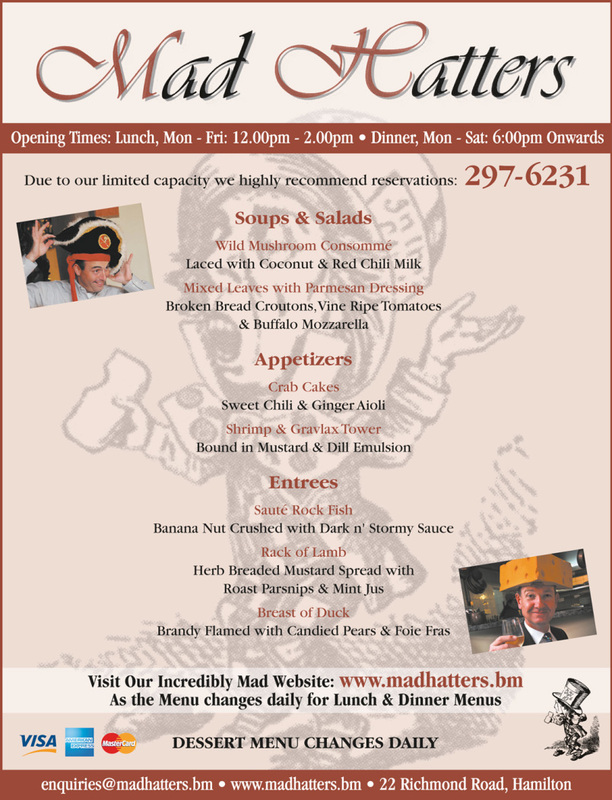 Mad hatters is a great place to get together with friends and family. 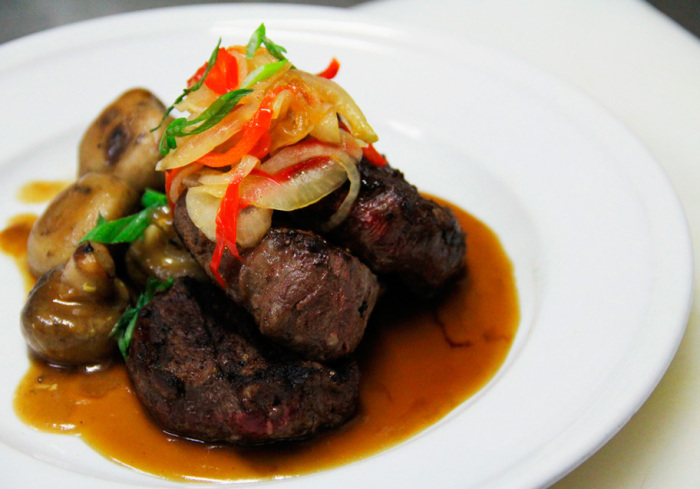 With there menu constantly changing so that the customer can always try something new and exciting, they always manage to pull off a great tasting meal. 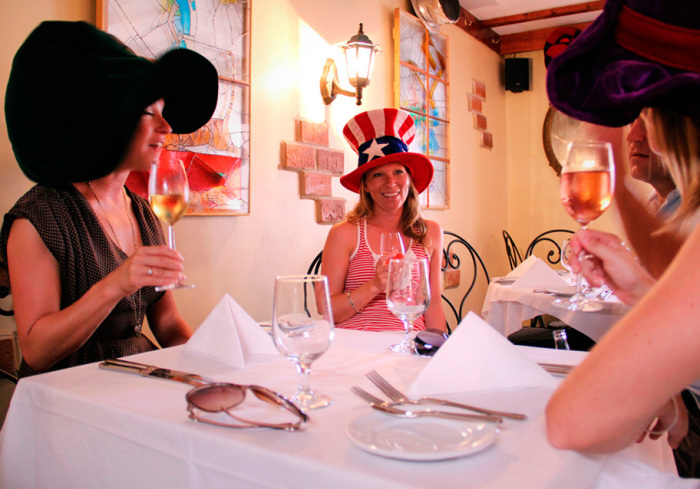 Don't forgot to try on one of there many hats for an even more enjoyable experience. 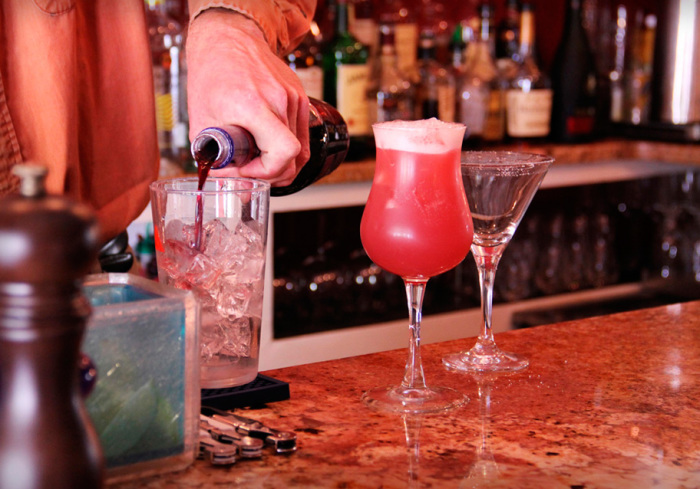 Venture through the magical looking glass of fine dining. 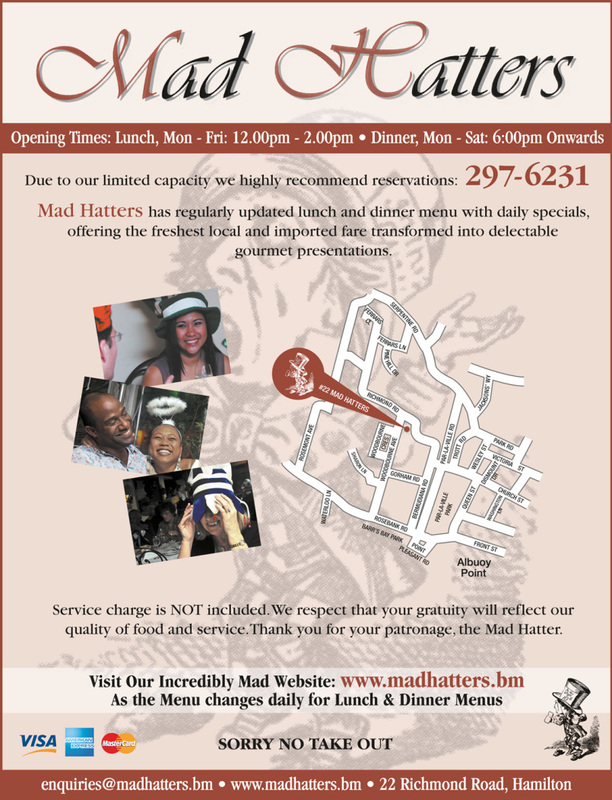 Gourmet cuisine in an elegant, yet casual environment, Mad Hatters is one of the only restaurants in Bermuda who meticulously balances upscale quality with an unpretentious setting.